Cedric Lee seated in the cockpit of the Lee-Richards Annular Monoplane No I, Shoreham, November 1913. 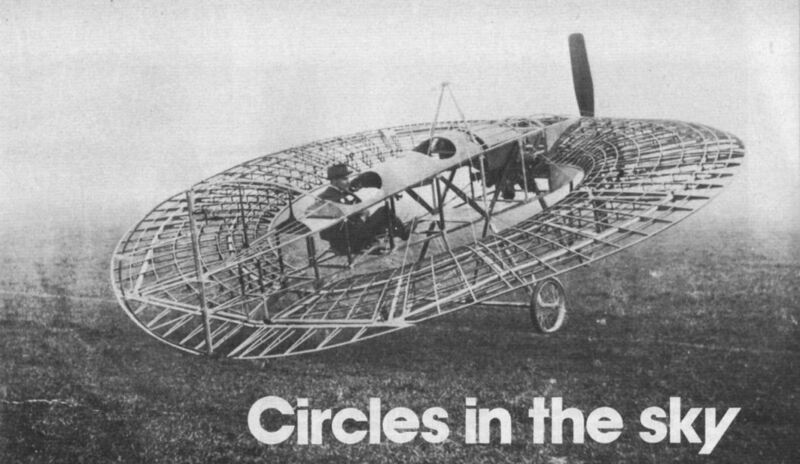 The first powered annular monoplane virtually complete, except for covering, in November 1913. 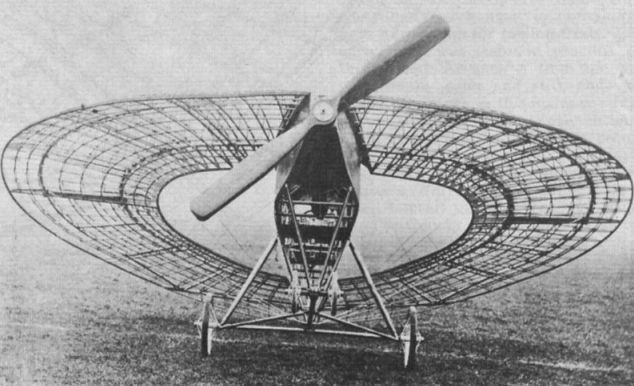 Note the intricate wing structure with its complex curvatures and the neat engine installation and large, square-tipped propeller. 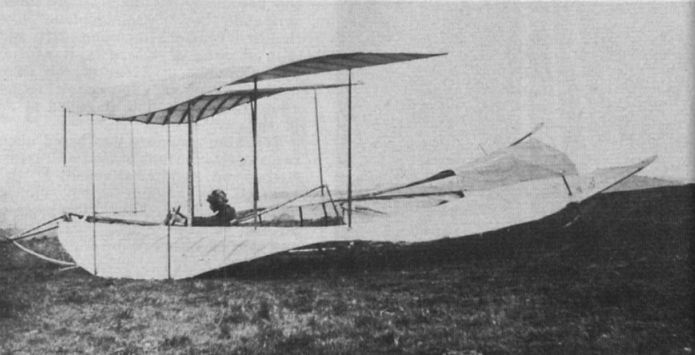 A rear view of the full-size semi-biplane in the Westmorland Hills, 1912. Early launching experiments using a knife-edge track were not successful. 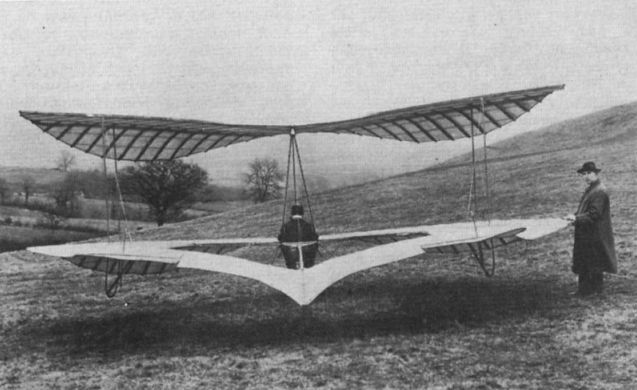 The glider is here seen in its second form. 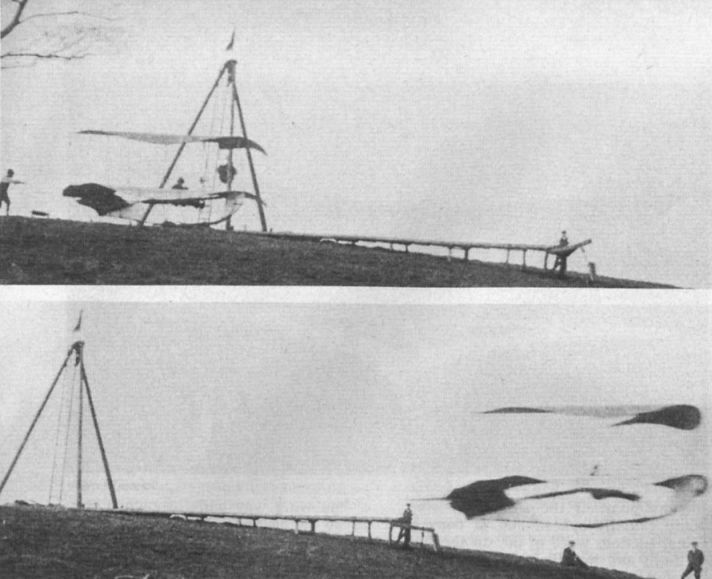 Two views depicting a launch of the third variant of the semi-biplane, using the successful weight and derrick system. 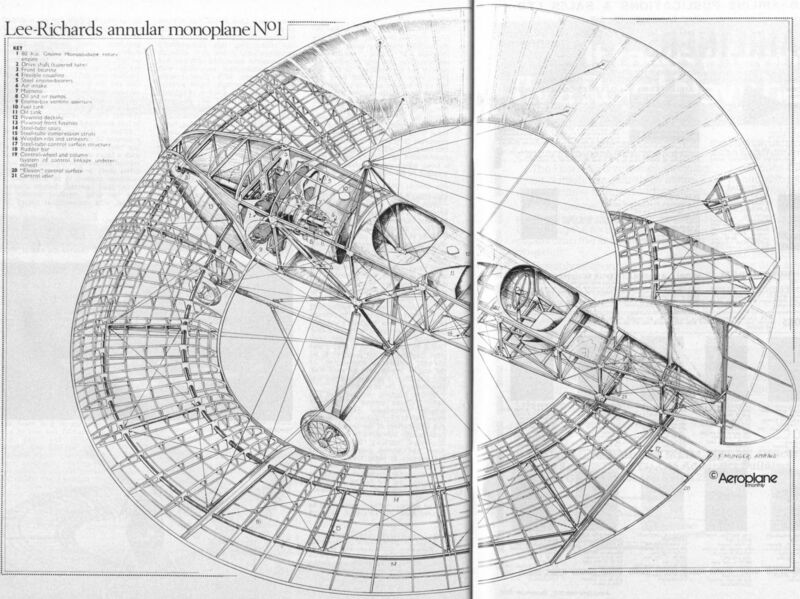 In this view, captioned "First crash of No 3”, quite a number of additional struts are visible when compared to the machine in its original form. 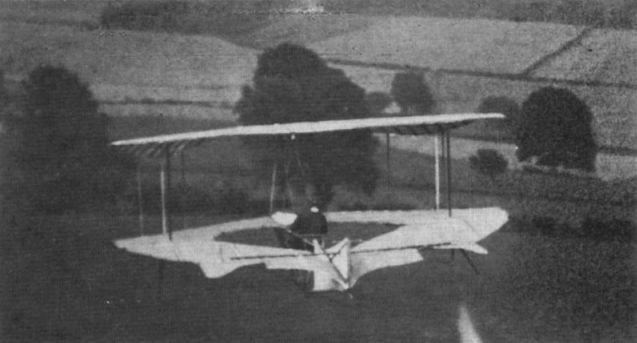 A shot of the glider in its third and final form, during a good glide after a launch near Ingleborough Dell, Westmorland, towards the end of 1912. The two moulded papier mache models tested in the Lancaster drill hall in 1911. 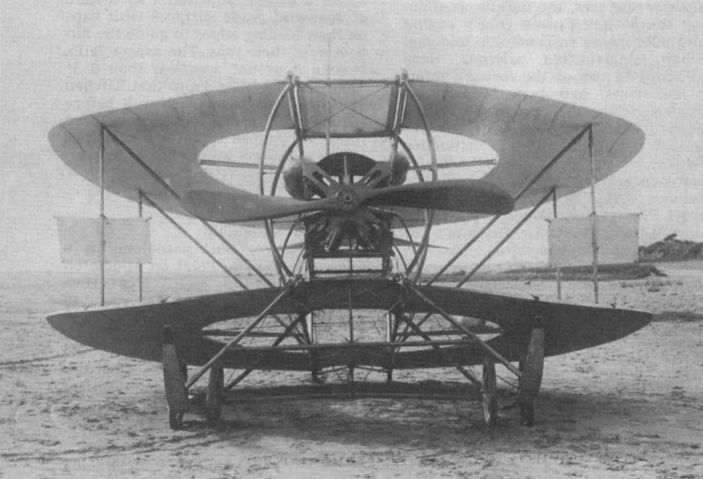 Left, the Kitchen-type model with arched leading edges and dihedral tail, right, the less eccentric wing proposed by Richards. 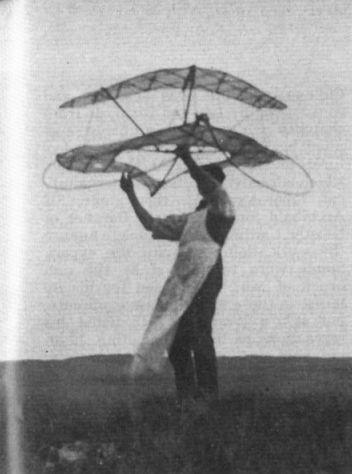 Testing the final, silk-covered "semi-biplane” model in 1911. 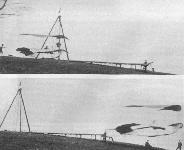 John Kitchen’s original annular biplane on the beach at Famine Point, Lancs, in 1911. It was destined never to fly, eventually being destroyed in a gale.